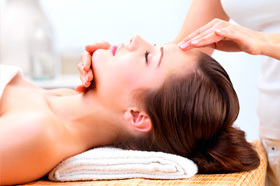 The natural treatments we offer truly treat the whole person. Aromatherapy combines the power of pure essential oils and specialized massage. Deep Tissue Massage focuses on deeper layers of muscle tissue. It aims to release chronic tension the the body, it both corrective and therapeutic. Daoyin Tao is an extremely relaxing Chinese Face, Neck and Shoulder Massage using acupoints and meridians to encourage Chi energy to gather, release or disperse. Homeopathy can be used to treat almost every kind of illness or dis-ease, whether physical, mental or emotional. Hot Stones Massage combined with essential oils takes you to a deeper level of relaxation and healing. Indian Head Massage is very effective for stress linked conditions e.g. ; eyestrain and headaches. Reflexology applied to the feet or hands is a very relaxing and stimulating treatment that can help relieve stress, tension and many other conditions. Swedish or Holistic back or full body massage has with immediate effect, both physiological and psychological benefits and will increase energy levels and relaxation. Reiki and Crystal healing work on four levels, physical and emotional, mental and spiritual, gently encouraging old patterns to release. Thermo Auricular Therapy or Hopi Ear Candles is used for a wide variety of ear, nose and throat conditions including tinnitus. 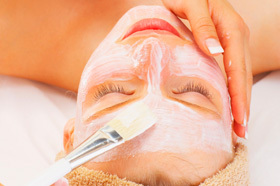 YourEssentialSelf Facial Experience, with the use of completely natural products which are blended by us for you, using a wide range of massage techniques we tone, revitalize and detox the skin.